Last Monday, the 16. 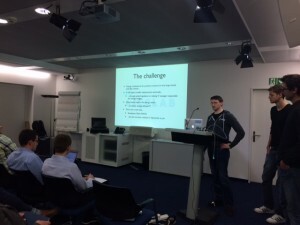 March 2015 the 10th expert-talks on Next Generation Service Delivery Plattforms (NGSDP) was held at the Fraunhofer FOKUS Institute in Berlin. 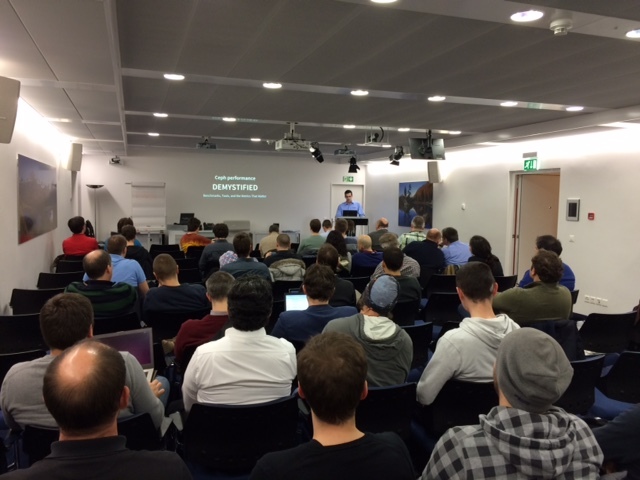 The event was about “Virtualization Impacts on Service Delivery Infrastructures – SDN, SNF and Clouds”. There were a wide range of intersting talks covering topics like NFV Orcherstration, Optimization Models for Virtual Mobile Core Network Functions Embedding, Prototyping New Concepts Beyond 4G – The Open5GCore and many more. After every talk there was a short round of questions and a longer pannel with engaging discussions. The ICCLab was there presenting on the topic of Cloud-Native Application Design, explaining the necessary characteristics of a Cloud-Native Application and giving some hints on the designing process. 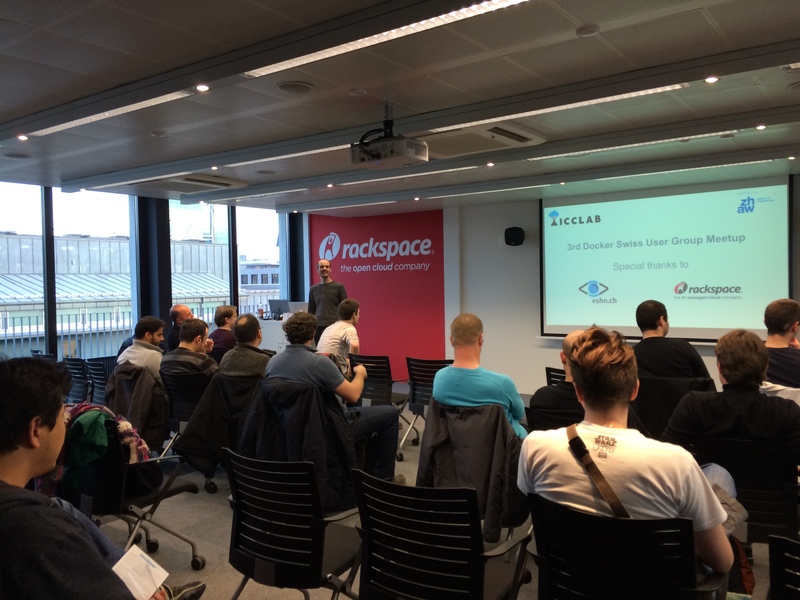 ICCLab and SPLab are proud to have contributions in the Open Source community. Following is a list of our open source contributions/releases and their info. Software Defined Networking (SDN) is a technology that has introduced an important paradigm shift in the networking world. With the OpenFlow protocol as a main technological enabler, the essential goal is to extend the conventional network configuration approach by introducing the concept of network control and programmability. The advances in the OpenFlow protocol and the strong community involved in the OpenDaylight (ODL) framework has significantly leveraged SDN over the past few years, which booked it a ticket as a de-facto technology in the datacenter network management journey. To follow this initiative, OpenStack has been a pioneer technology that urged to provide a direct SDN support for Neutron. Such approach has introduced new challenges arising from the direct mapping of network traffic between the physical hosts and the virtual tenant networks. Identifying scenarios that embrace different issues to consider, has a high priority in the current SDN world. With the main focus on SDN-managed datacenter networks, this initiative will provide a technical implementation and know-how on managing cloud-based network resources in a straightforward manner. The on-going technology and protocols applied to cloud networking are not optimal in terms of resource usage, reliability, deployment and maintenance. For example, the current implementation of Open Stack Neutron relies on different tunnelling mechanisms in order to provide isolation and multi-tenancy support. From a network application developer point of view, this is inefficient since it injects additional overhead and impedes a transparent application development. Having in-house deployment implies an up and running environment prepared to leverage ideas deployed and tested over commodity-hardware. The ICCLab SDN testbed will essentially facilitate the validation of use cases towards comprehensive solutions. The high-level framework on top of the ODL controller will provide smart virtual datacenter management in OpenStack deployments, and potentially target industry partners among the content delivery network companies, like Akamai for example, IPTV and streaming service providers. We also aim to expand the cooperation by exchanging technical expertise with industry partners involved in the SDN-Cloud field. 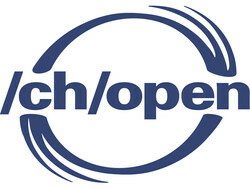 The ICCLab is happy to announce the 4th Open Cloud Day on 16th of June in Bern. Like the previous years, the day long event focuses on the goal to foster open clouds and interoperability of clouds, especially taking into account the requirements of public administrations and large as well as small and medium-sized businesses. Concrete cloud stacks will be discussed during the course of several talks and in the afternoon there will be specific workshops, from enterprises sharing and showing their know-how in latest Cloud technologies. The developments in Gov Clouds will also be discussed. The event is planned as a full day event (single or double track) with 2-3 training session for specific cloud stacks (hands-on). Save the date and register soon! Venue: University of Bern, UniS, Schanzeneckstrasse 1, Bern. After having completed part 1 of our series about reliability analysis, we now start with our first reliability measurement experiment. According to reliabili theory there are three things we could measure: survival probability, hazard rate and failure rate. The last one is the easiest one in practice. Therefore we design an experiment to measure the failure rate of OpenStack VMs under heavy load. Failure rates can be constant, ascending or declining over time. In order to measure the general tendency of a failure rate we have to perform a time series analysis. We start up several OpenStack VMs, put them under stress by running a certain task on them and then count how many of the VMs are still alive after a certain amount of time. The stress task is performed several times on the same VMs and the number of machines that are still alive is counted repeatedly in order to get a time series of failure rates. 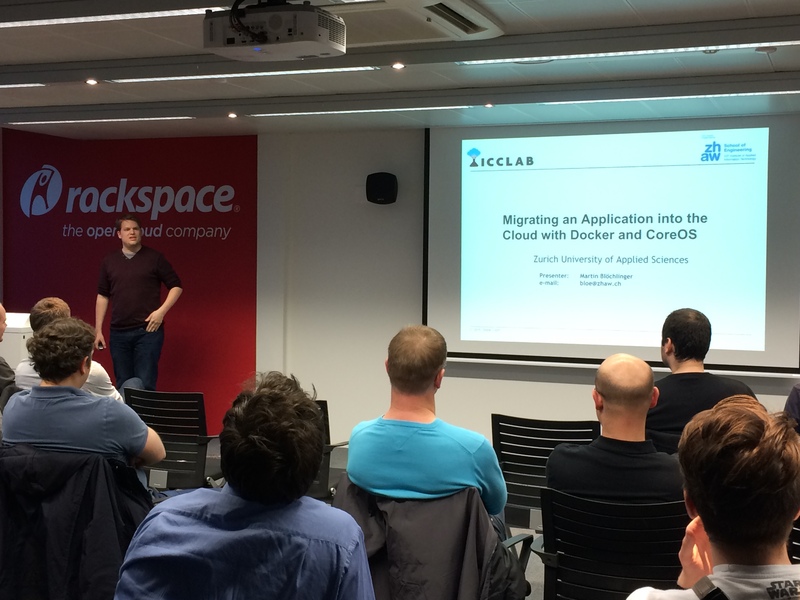 The ICCLab is actively using, promoting and educating about Docker. We are running regular Docker Switzerland User Group meet-ups for anyone with an interest in container technologies in general, as well as Docker and its ecosystem to come along learn, participate and hopefully have some fun too! 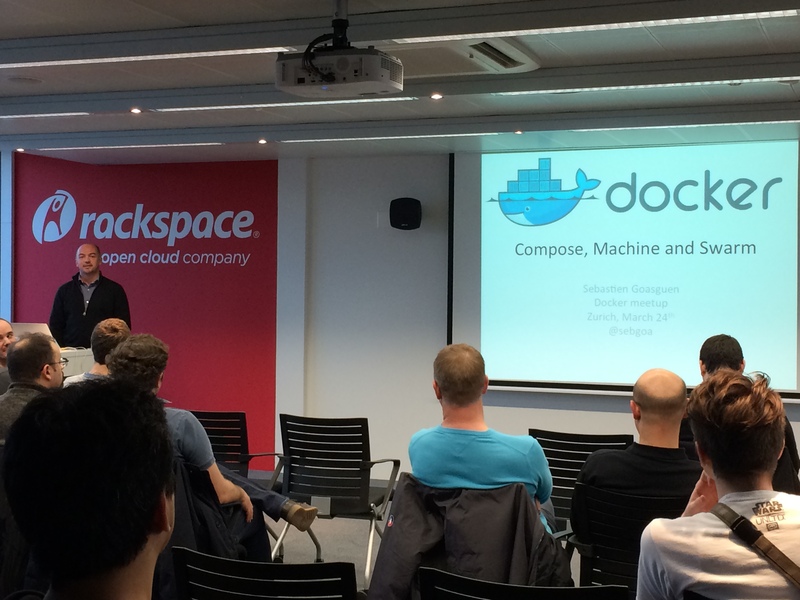 For more information about the Docker User Group meet-ups, go to the official Meet-up page on Docker User Group in Switzerland. Subscribe on it to get the news on the upcoming meet-up and help build up the community! 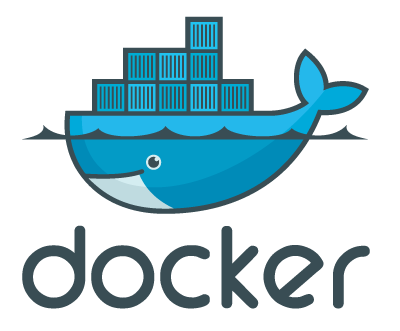 If you would like to help the Swiss Docker community with sponsoring a meet-up or present during one of the meet-ups please write to us. ICCLab organized the 9th Swiss OpenStack UG meetup yesterday (5th March 2015) evening. With over 90 participants and 6 interesting talks, I can say the event was interesting and a success. And some good beer and great pizza added to the glory! Our own Sean Murphy and his team (Bruno and Vojtech) from ZHAW on “Making OpenStack more energy efficient”, including an interesting demo introducing the web app AEM – Arcus Energy Monitoring Tool from Bruno. A big thanks to Nimble Storage to sponsor the food and drinks and big thanks to SWITCH for hosting the event in their premises! Here are some pictures from the evening, look at the crowd!